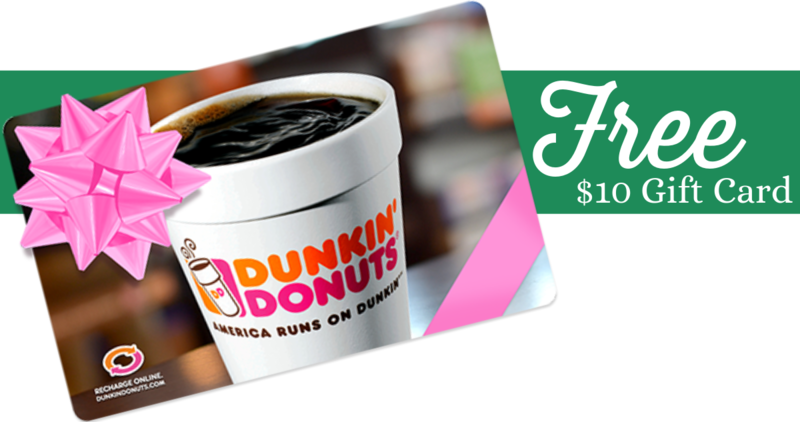 You can get a FREE $10 eGift Card from Dunkin Donuts when you purchase $25 worth of gift cards! Perfect for grabbing easy Christmas gifts. You can purchase a standard physical card or send an eGift Card to someone through email. This offer is only available online and is not offered at Dunkin Donuts retail locations. Deal valid through 12/24. The $10 promotional eGift Card expire 1/31/18.